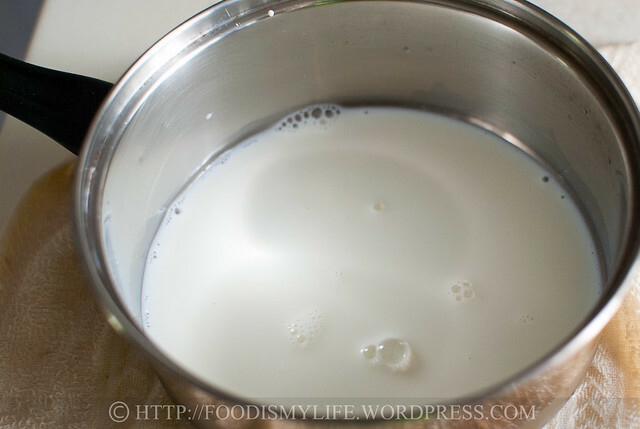 Start off by measuring some milk in a pot. Heat it over medium heat and whisk constantly. 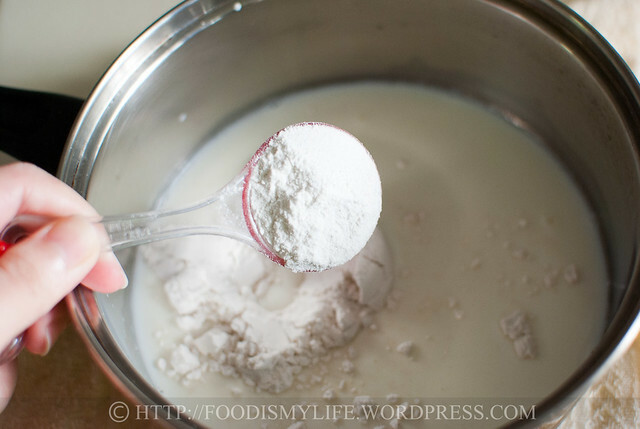 Cook the mixture until it has thickened – like a glue consistency. Let the mixture cool completely – it must be cooled completely so that it will not melt the butter mixture when added in later on. 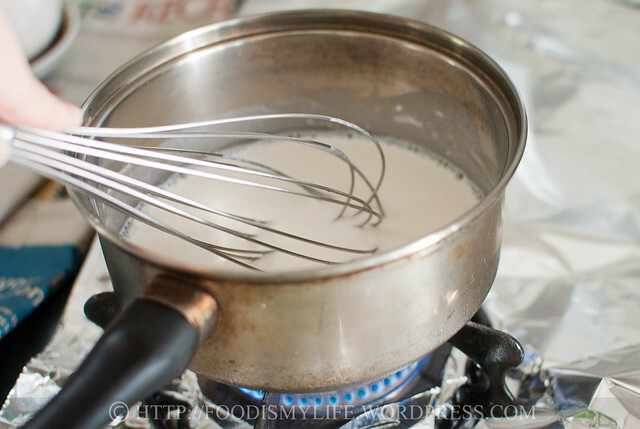 While the milk mixture is cooling, measure some butter and sugar. 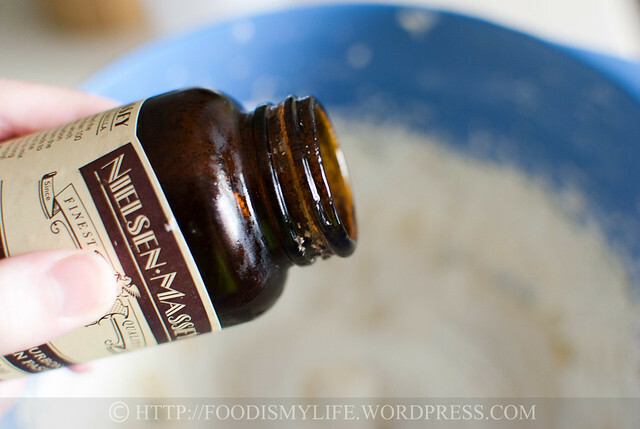 Add in some vanilla extract to taste. Then add in the cooled milk mixture. 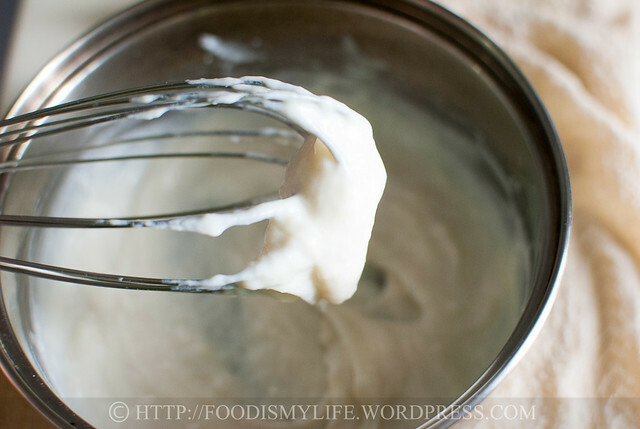 Beat until light and creamy and use as desired! 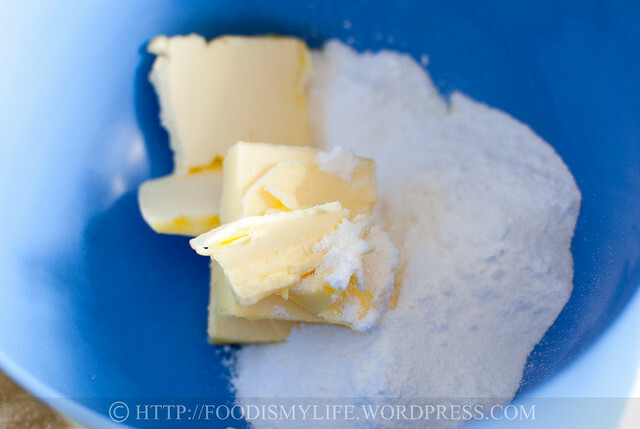 In a mixing bowl, combine the butter and superfine sugar. Beat with an electric mixer until light and fluffy. Add in the vanilla extract and the cooled milk mixture. 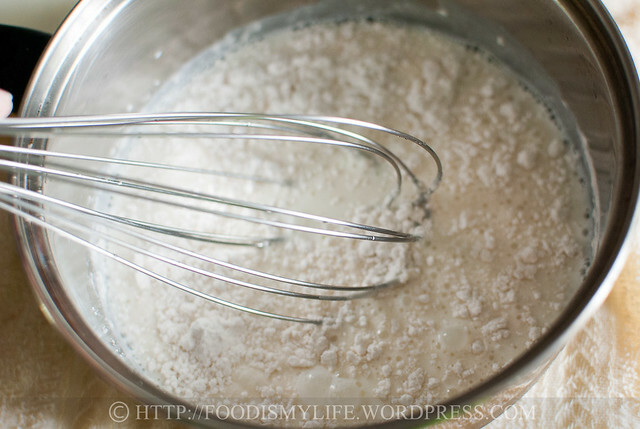 Beat with the electric mixer until thoroughly combined. Use it to fill, frost or pipe as desired! 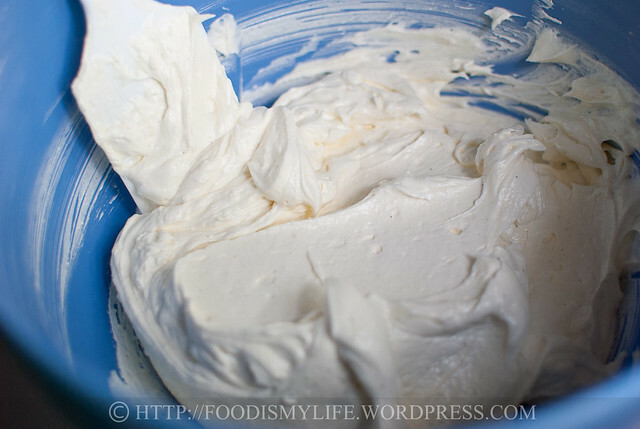 Store the frosting in an air-tight container in the refrigerator for up to 5 days. Let it soften at room temperature before using. Chocolate: Sift and beat in 30 grams (1/4 cup) of good quality cocoa powder. Coffee: Dissolve 1 teaspoon to 1 tablespoon (personal preference) of instant coffee powder in a little warm water and mix it into the frosting. Mocha: Combine the Chocolate and Coffee variations together! Matcha: Dissolve 1 teaspoon to 1 tablespoon (personal preference) of green tea powder in a little warm water and mix it into the frosting. love the result of your frosting. I made mine using granulated sugar and want to try this one as well to see which is better. I have a question about the butter, 2/3 cup how will I measure it in terms of stick? Thank you so much. I’ve really grown quite fond of cooked frosting lately- It tends to be less sweet than the straight American-style buttercream. This one looks like a very promising approach, nice and creamy! HI Jasline, thank you for visiting my blog. I love this frosting, it look really good. With flour added the butter cream won’t melt so fast? Thank you for sharing the recipe. Not anymore… Luckily! Because there is work to do! Thanks Jo! It will probably last a couple of hours out of the refrigerator, but it will last slightly longer in air-conditioned rooms. 🙂 Hope you’ll like the recipe! Thanks Villy! Haha I’m still in a holiday mood… are you? Thank you Uru! Have a great week ahead! I’m glad the photos helped 🙂 Hope you’ll like the frosting! cant wait to see your TW pictures – your travel pics always look so awesome! and definitely gonna try this one out just because the first picture got me sold! welcome back! looking forward to read about yr Taiwan trip! I’ve not attempted such a recipe..does the frosting on the cake keep well at room-temp in sg? I have never heard of this before. I will have to give it a try. September we have 3 birthdays in our family and lots of cakes to frost. Welcome back! I’m also just back from 2-week holiday… Sigh.. Can’t wait to see your photos! This looks divine! I haven’t made a cake with frosting before, but i want to give this a go. How long can I store it in the fridge before I put it on my cake? Welcome back! I love trying new frostings, so I’m excited about this one. Welcome home, Jasline! 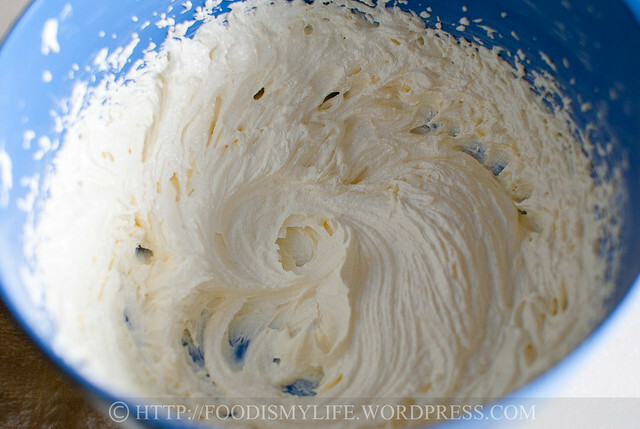 As much as I enjoy buttercream, sometimes its’s almost cloyingly sweet. Yours recipe sounds like a vast improvement. Thanks for sharing. Welcome back! I love this icing recipe. 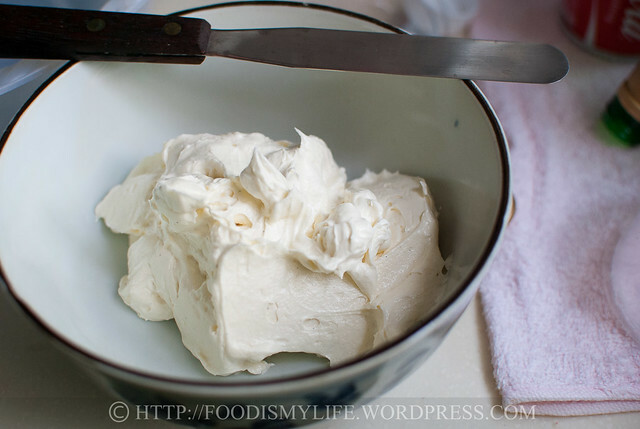 I use a very similar one for whipped cream icing. 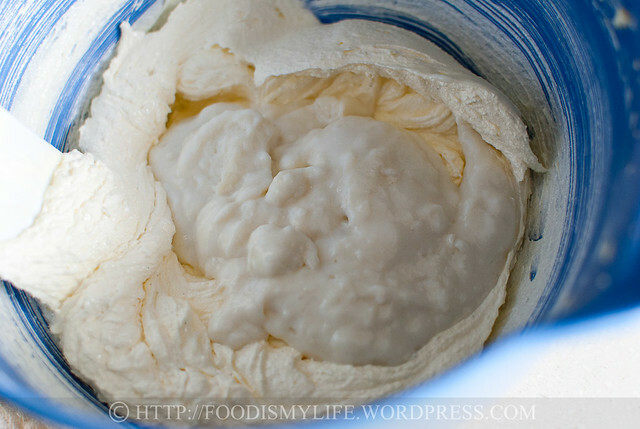 Instead of flour I use cornstarch either thickener would work wonderfully. Your icing is beautifully thick and creamy. Great recipe! I like flour based frosting a lot! It is so much richer in taste!